Green is one of the main representative colors of Christmas. With a green background, it is easy to create a Christmas atmosphere. Harmony and elegant three shades of green, full of Christmas green style. Green series If you are in the natural beauty of a green land~ https://c1.staticflickr.com/1/901/28575584688_16766331f0_b.jpg * Size: 45 x 45 cm (0.5cm thick) ***Exclusive patented design**, lightweight and three-dimensional version, can be placed horizontally and vertically, easily with desktop and wall background, any combination of creative situations and atmosphere. 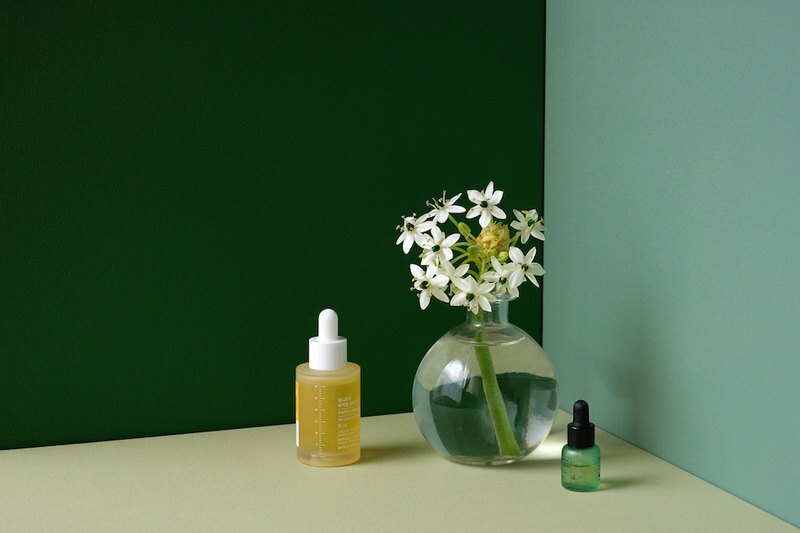 --- Harmonious and elegant three green backgrounds https://c1.staticflickr.com/5/4811/44861626975_f3d92c6798_b.jpg From left to right: green, green, pine green https://c1.staticflickr.com/5/4887/44861627995_494cdaf79b_b.jpg https://c1.staticflickr.com/5/4879/45049840464_60aeabdb2f_b.jpg Exquisite and delicate surface texture https://c1.staticflickr.com/5/4879/45724463582_9b4924140f_b.jpg Lightweight and three-dimensional version, it can be used flexibly as a desktop or wall to create a unique situation. https://c2.staticflickr.com/2/1951/43957351060_b0b62f82ec_b.jpg https://c1.staticflickr.com/5/4862/44861627605_bd4efcce98_b.jpg https://c2.staticflickr.com/2/1952/43957350870_1ee59600bc_b.jpg *Green is one of the main representative colors of Christmas. * *Use the green background to create a Christmas atmosphere. * Warm string lights, brown pine cones, cinnamon, and green pine leaves. Together create a calm and warm style. https://c2.staticflickr.com/2/1935/45724464232_ea9ef47ffc_b.jpg Product brand: https://www.pinkoi.com/store/qyen / Photo background board: green - green Enhance the Christmas impression with a little red accents. Golden pine cones and golden ribbons add a finishing touch to the dark green background~ https://c1.staticflickr.com/5/4862/45724464512_8aaa7bdb1e_b.jpg Product brand: early summer sugar wind / photo background board: green - pine green Simply join the little Christmas tree and convey a straightforward Christmas message. The faint green background matches the dark green ribbon and the green flower material in a harmonious color, echoing the green color on the product's main character package. https://c1.staticflickr.com/5/4880/30834904307_625462ca08_b.jpg Product brand: https://www.pinkoi.com/store/animus-tw / Photo background board: green - green --- The 曦Green series consists of 3 photo background boards: Pine green 2. Green 3. Green // If you have the need to take a photo background board for outing, it is recommended to purchase more. https://www.pinkoi.com/product/L74fnHrc (Upgrade carton carry function) https://c1.staticflickr.com/1/817/40953661321_241fe78f23_b.jpg *Please make sure that you read and understand the ordering instructions before ordering. Once the order is made, you immediately understand that you understand and agree to accept all the ordering information. * **[Ordering Information]** __Seven-day appreciation period rights__ * According to the Consumer Protection Law, customers are entitled to the seven-day appreciation period (including holidays) after the arrival of the goods. The appreciation period is for your reference, viewing and tasting comparison,__**is not a trial period**__. *The seven-day appreciation period is based on the Consumer Protection Law. Customers (including themselves, relatives or administrators, etc.) will be counted seven days after the receipt of the goods, and all goods, packaging, gifts and invoices will be completed and shipped. Under the premise of the same content, the customer can request a return within seven days after the receipt of the goods (including holidays), and will not be accepted after more than seven days of appreciation. __Return policy__ * The product packaging (transparent protective bag cover) of the photo background board cannot be returned after being unpacked. *If you need to return the goods, after the two parties have confirmed the communication, please keep the original packaged goods (including goods, invoices, gifts, shipping lists, carton packaging, etc.) and return them to our address. We will fully protect you. Shopping rights. *If you want to return the goods due to the buyer's personal factors, the shipping cost of the goods and the bank transfer fee of 30 yuan due to the refund must be borne by the buyer. * Good shooting will try to present the actual color and texture of the product. Based on the use of the computer, mobile phone and other display devices, please understand that there may be some slight color difference, so you can not accept the return due to color difference. *International orders, if the buyer wants to return due to personal factors, the buyer must bear the return shipping. *There is currently no general replacement service. Please return the original purchase and re-purchase the item you want. If the goods are found to be inconsistent with the order item or any special condition (瑕疪 or damage), if the product is not unpacked, a single replacement service for the same item can be provided. Please notify us as soon as possible after arrival. https://c1.staticflickr.com/1/817/40955662681_15f8542a23_b.jpg **[Precautions for use]** * Each background board length and width may have some slight error within ±3mm. * The pattern on each background board may be slightly different depending on the design. Please understand that it may not be 100% identical to the photo. * This product is a photo background board made of PS (polystyrene) sheet and special printing pattern. The surface is simple and waterproof. If it is simple and dirty, it can be wiped and used. The bottom pad is generally For paper, please avoid direct immersion in water, contact with fire source or high temperature, and pull it hard to avoid deformation and damage. * It is recommended to keep it in a normal temperature and dry environment, avoiding deformation caused by high temperature or humidity. * This item only refers to the background board and does not contain any accessories or props indicated in the picture. https://c1.staticflickr.com/1/794/40955662051_1728001962_b.jpg **[shipment method]** __Taiwan area__ *Taiwan Island area will be sent by home delivery *Taiwan's remote area (logistics definition) and outlying islands are sent by post office * Due to the large size of the product, it is not possible to use the supermarket to pick up the goods. __China, Hong Kong, Macau__ *International orders are sent by SF __Other countries outside China, Hong Kong and Macau__ *International orders are sent by China Post International Airline Parcel https://c1.staticflickr.com/1/808/39146500890_d09d8652f0_b.jpg **【common problem】** **Q: Can I use multiple pieces of stitching? ** A: <Good shot> The background board can be placed horizontally and vertically. The application is flexible and convenient. If it is used on the splicing, please note that the pattern of each background board product is not necessarily spliced continuously, and the background board is protected on all four sides. Processing, then may not be able to achieve "completely seamless" stitching, if there are special needs, welcome to ask for a private message before ordering. **Q: <Good shot> Is it easy to reflect when the photo background board is photographed? ** A: We understand the needs of your photo taking. All the "good shots" photo background boards have been tested and the effect is not easily reflected on the screen. Please refer to the product photos on the product page. Most of them are "good shots". With the iPhone, in the natural light, the indoor shooting is completed. We strive to present the most realistic effects for everyone to buy. **Q: Is there a full amount of free shipping? ** A: <Good Shot> Fixed a home delivery fee for each order. A <good shot> special paper box can hold 10~11 background boards, there will be a home delivery item, but if you buy 11~20 pieces (or more), it will be two (or More) The packaging of the carton is transported, and the increased shipping cost of the carton will be absorbed by <Good Shots>! (The above refers to domestic shipments in Taiwan, not applicable to international orders) **Q: Can I use the Supermarket Pickup Service at the convenience store? ** A: Since the size of the background image has exceeded the size requirements of the convenience store for the parcel, it is not possible to open the convenience store pick-up service. Thank you for your understanding and cooperation.